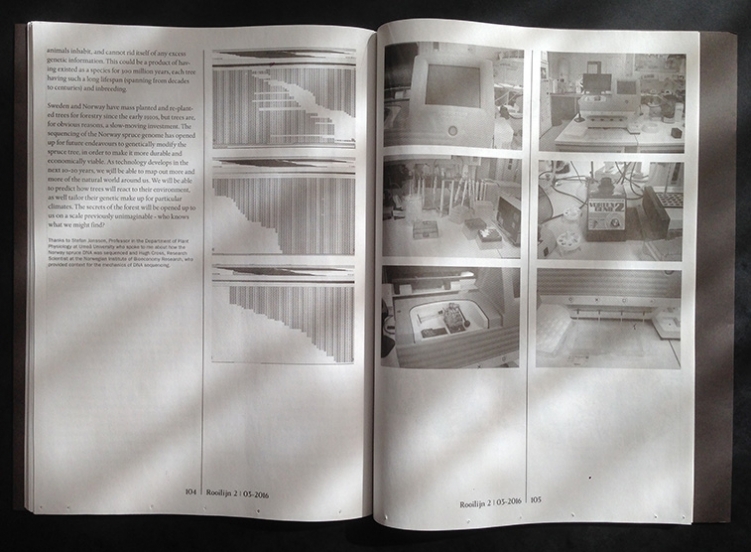 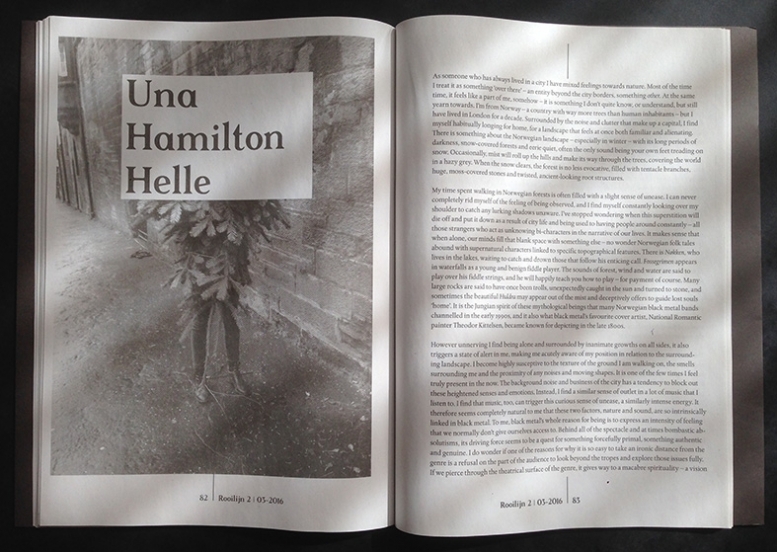 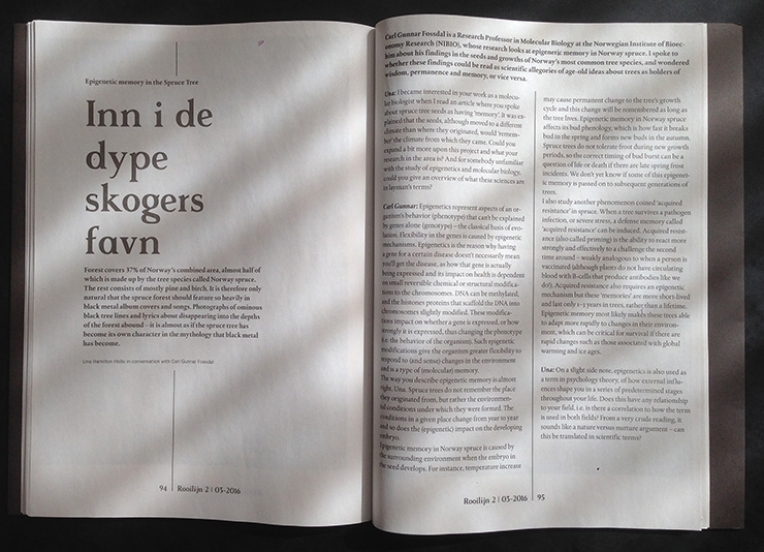 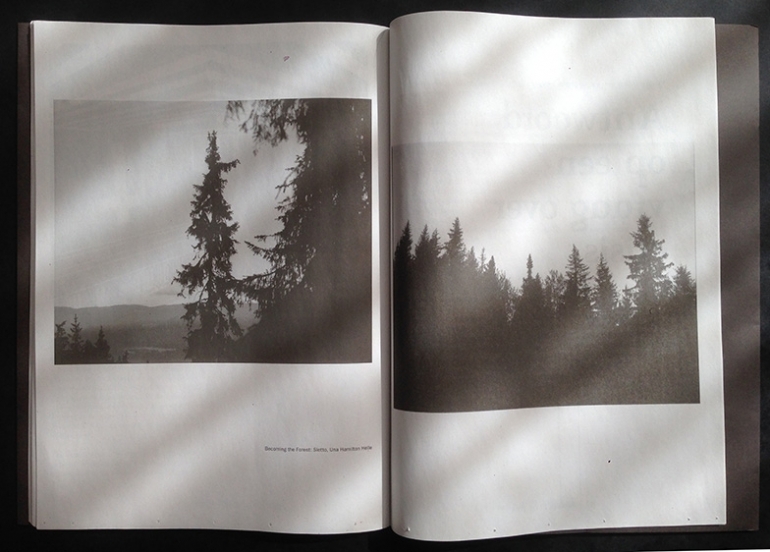 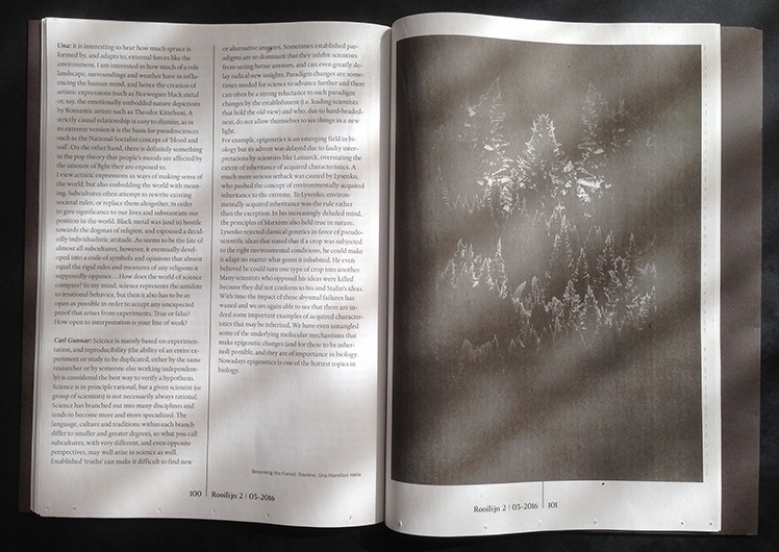 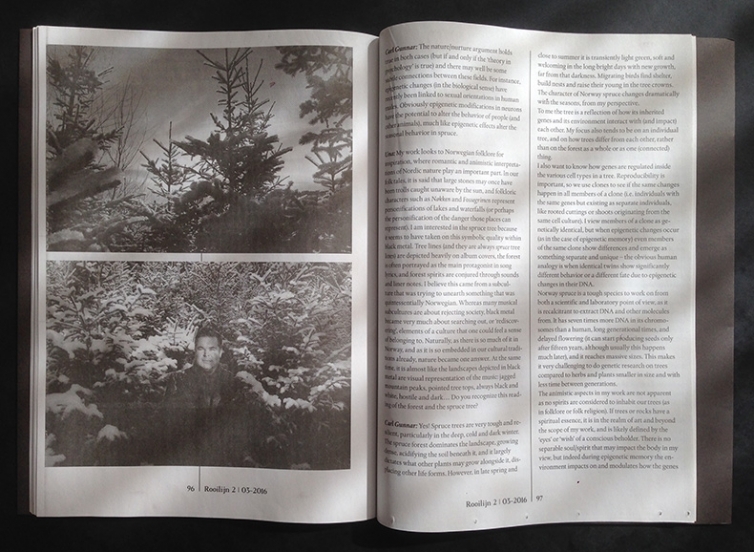 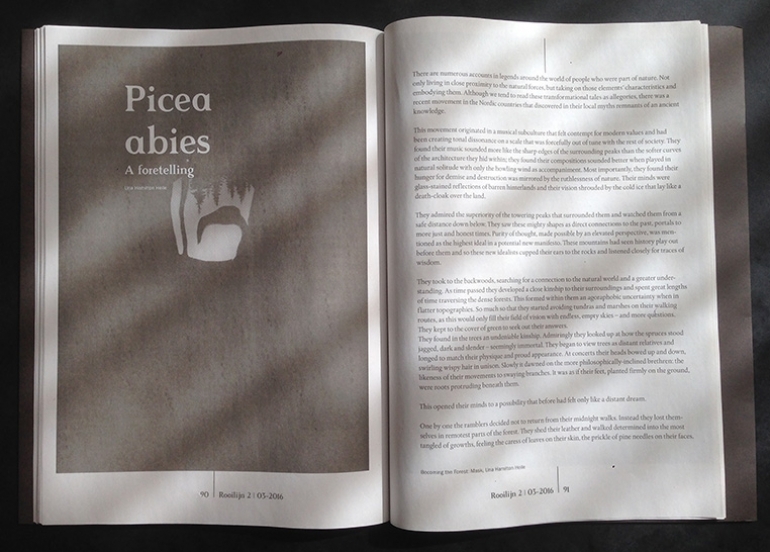 Rooilijn 2 features a selection of essays, interviews and collages from my Becoming the Forest project. 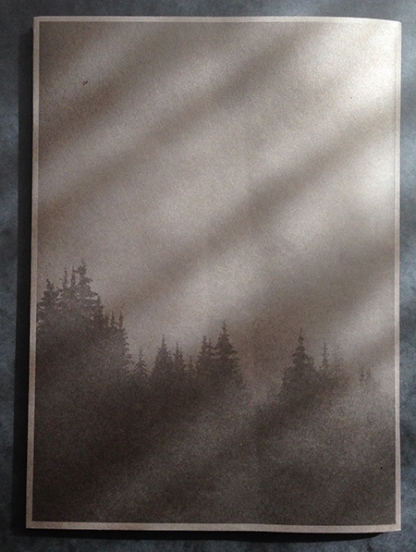 It takes the music genre and subculture of black metal's use of the forest, and particularly the spruce tree, as a starting point for exploring the impact of landscape on the collective consciousness. 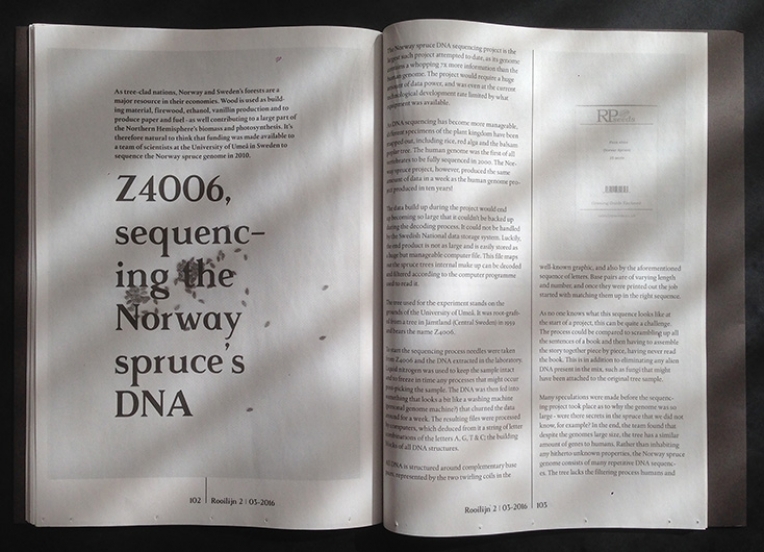 For the magazine I interviewed molecular biologist Carl Gunnar Fossdal about epigenetic memory in spruce trees, and spoke to scientist Stefan Jansson who DNA sequenced the Norway Spruce's genome. 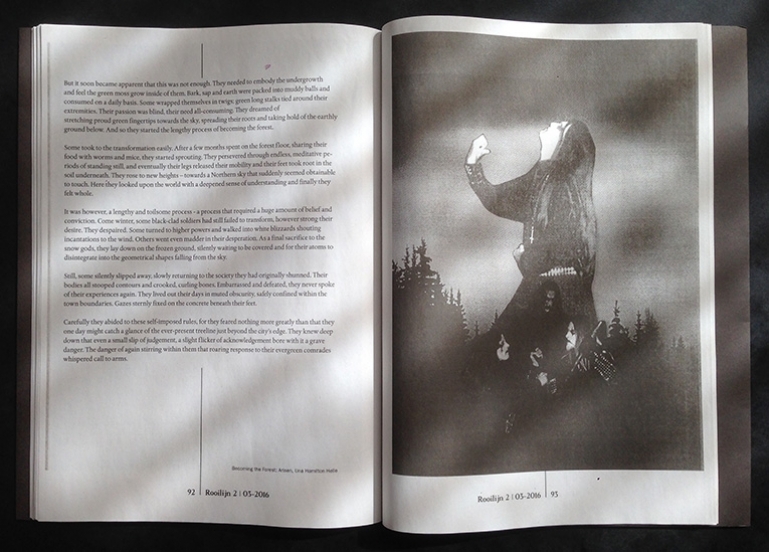 Also featured are essays on black metal's relationship to folklore by Harald Fossberg and a probing into the existential philosophical possibilities of slam death metal by Patrick Moran. 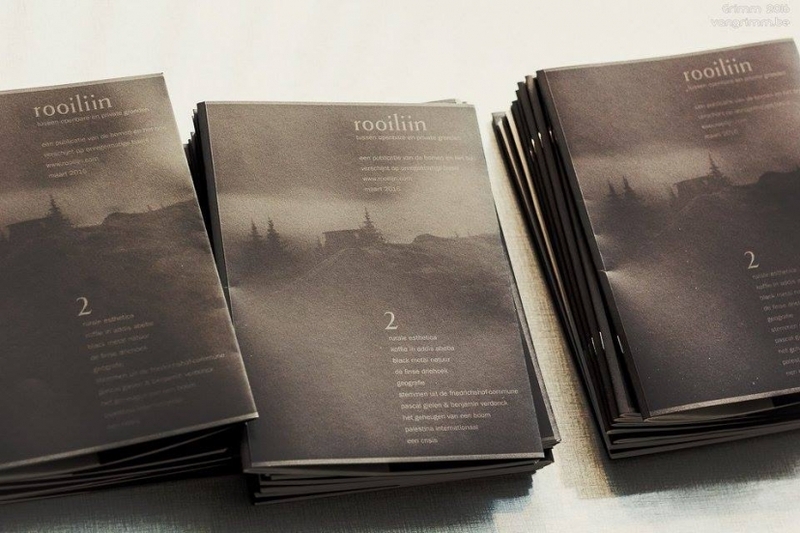 Rooilijn was published by Het Bos, Antwerp, March 2016.